Montreal’s Divers/Cite climaxed yesterday with an all day street party called La Grande Danse, which was headlined by the red-hot Freemasons. This clip was shot quite early in the day while opener DJ Danny Verde was spinning and before it got super-packed. I’m told about attendance at the party peaked at around 40,000. 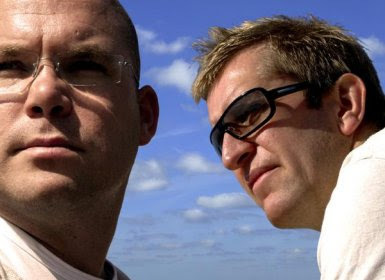 Grammy nominated DJ duo The Freemasons will headline this year’s 24th annual Dance On The Pier, the culminating event of NYC Pride. The opening set will be spun by DJ Steven Oliverri. The Freemasons are white-hot right now and the Pier Dance usually sells out, so expect this year’s event to do so quickly. Tickets go on sale May 1st. 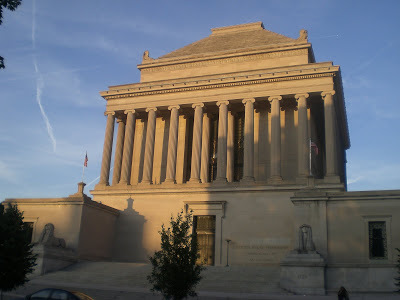 DC’s Scottish Rites Freemasons Temple was completed in 1915 and is based on the Mausoleum of Halicarnassus.